Working from home requires a lot of time sitting in front of a computer or at your desk. Office chairs need to work for you. Especially when you will spend hours a day sitting in the chair. Work can seem stressful and tiresome when the chair that you have doesn’t fully support you. This is why today’s blog post will help explain the features your chair should have. Maybe, as well as how to look for the best chair recommendations. Office chairs come in all shapes, sizes, and price tags. Make sure that the chair you pick is up to par with what you need. This is one of our top used items as you work from home. Office chairs should be replaced about once every five years. That is if you choose a quality office chair. So keep reading for the eight features that your office chair should have. If your chair can’t be easily adjusted, it’s going to be difficult for you to work throughout the day. You should get a chair that you can adapt to fit your current needs. Get a chair that has multiple adjustment settings. Things like the height of the chair, the position of the armrests, the position of the back of your chair, etc. When it comes to adjusting your chair, you want that to be as easy as possible! Adjusting your chair shouldn’t require tools or extra items, it should be as simple as pressing a button or moving your chair up or down a bit. We change positions so much during the workday, and you want a chair that can change with you. You want a chair with good lumbar support so that you can support your body and encourage it to have excellent posture. Otherwise, you may end up putting unnecessary pressure and stress on your spine and unintentionally your neck because of its relations to your spine and head. If you have naturally poor posture, getting a chair with lumbar support will help you work longer hours all while training you to sit correctly and helping your body align itself. Your armrests need to support your shoulders and make it easier to type at your computer. If your armrests are too far apart, this can create discomfort for you, and make it harder to finish your work. You want to make sure that the armrests on your chair are close enough to your body to make working a breeze. If possible, your armrests should be adjustable to meet your needs as a worker. If the armrests on your chair are not perfect, can they be adjusted to be higher or closer to your body? Armrests can help minimize how much stress you put on your upper limbs, shoulders, and spine while typing. If you cannot adjust your armrests appropriately, you may want to skip the chair as armrests are there to help you. The best way to sit while working is at a comfortable 90° angle. Your chair should support you sitting in this upright position, and it should not force you to slump over or sit too far back to feel comfortable. When you are looking for a chair, make sure to sit in it for a while to see if you feel comfortable sitting up at this angle. There is no need to hunch over or do anything special to work while in your chair. Though you are sitting, throughout the day you will need to extend your arms or move your body to do particular tasks throughout the day. You don’t want to be stuck in one position throughout the day! Instead, you want to make sure that the wheelbase of your chair is sturdy enough to glide over the carpet or hardwood flooring in your room. You don’t want your wheels to get caught on anything you have there. You also want your chair to swivel or move with you so that you can get something that’s beside you easily or reach across your desk. 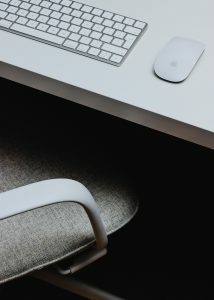 Your chair should allow you to move and glide quickly while you are working so that you can move between the tasks that you need to get done without missing a beat. Office chairs with mesh are often seen as the go-to chair for people working at a desk for hours on end. Their breathable fabric offers a lot of air flow. This makes sure that the heat your body produces (especially during the summer) isn’t trapped. Having breathable fabric means you create less sweat and you feel comfortable working for long hours. While there are many fabric types to choose from, having mesh fabric (at least for the back of your chair) is excellent for keeping air circulating around your body. When it’s hot, you will thank yourself for purchasing a chair with fabric that doesn’t hold heat in. If your feet cannot touch the ground, you are going to have a lot of issues. This is the chair you will be sitting in your chair for long periods of time. You should never pick a chair where your legs have to swing or be above the ground. Your back and spine will thank you when your legs are firmly planted on the ground. So make sure that you can adjust your chair correctly so that you can have both feet touching. This is something that you may have to worry about if you have short legs or your chair isn’t as adjustable as you’d like. Even if you can’t afford to get an adjustable chair right away, make sure you can sit properly in the chair you do buy. Last, but not least, the seat of your chair needs to be comfortable. Many mesh back chairs have a memory foam seat or at least some form of seat padding. 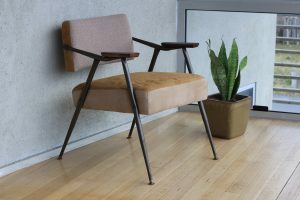 Depending on the material, a mesh seat can be comfortable as well. Try and test out as many as you can before you purchase the chair. 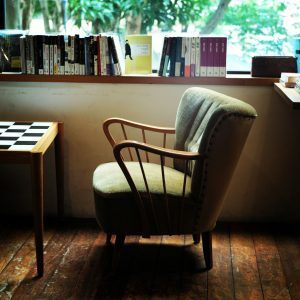 If the seat of your chair is uncomfortable, you will likely notice it long before you notice anything with the back of your chair or even your armrests. You spend hours sitting in your chair. Make sure the seat you choose seamlessly fits you and helps you work. If not, you will find yourself taking excessive breaks. Now that we have covered what features you should look for in your office chair, let’s talk about where to find office chair recommendations. You can look to many sources to find your perfect office chair. There are so many office chairs to choose from. If you looked at all the reviews under the sun and researched every chair in existence, it would be difficult to make your final decision. New chairs are popping up every single week, and it just makes sense to start with a couple of parameters in mind. Maybe you have a price range you are looking for or a fabric type to start. Look at those categories and block out anything that doesn’t match. We have a plethora of information now because of the internet. People who have tested your future office chair are out there, and they have given their real-life reviews after having tested the chair in their home office. You have a lot of power and control as a shopper in the internet age. Use that to your advantage by looking at multiple reviews and sources to pick some great options for chairs. Take your time, read all the reviews on the chairs you research even if they are positive or negative. You want to get a full range of opinions about the chairs that you may be picking. One quick way to get a couple of office chair suggestions is by asking people. Try asking people you know who are currently working from home. Get to know their office chair recommendations, then go check those out to see if they meet your needs. Take a look back at your personal preferences. Remember what you do and don’t like about past chairs. This will help with recommendations specific to the chair that you are already looking for. Your friend may be able to point you in the direction of the exact chair you want to buy. Lastly, you may want to go directly to a store to see what they have to offer. They may be able to provide you some great options, especially if you go to an office supply or furniture store. At the end of your trip, you may only be able to understand what you don’t want in an office chair. This is ok even this will bring you closer to finding the perfect chair. Picking an office chair is more important than you might think at first glance. You will spend a lot of time working in your chair. It is critical that the office chair you choose works exactly how you need it to work. We know that a quality office chair can last up to five years. So pick a chair that will continue to support you, while you are spending time together.